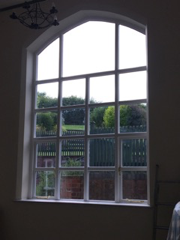 The project was undertaken by our joinery works supervisor, at our own workshop in Derby. 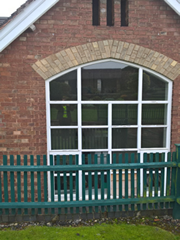 The project consisted of creating an exact match in size and profile, to the original failing window, but in superior materials. 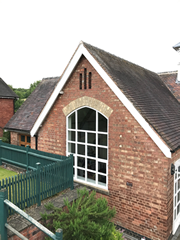 ICS Ltd has recently completed the manufacture and installation of a large bespoke window at a converted old school, for a client in the Staffordshire area. 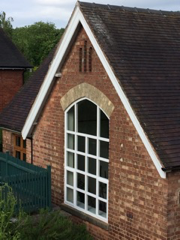 The old window which existed within the building was manufactured from a soft wood, which over the years had weathered badly. It was replaced with a new frame, made from a sustainable Sapele Hardwood. 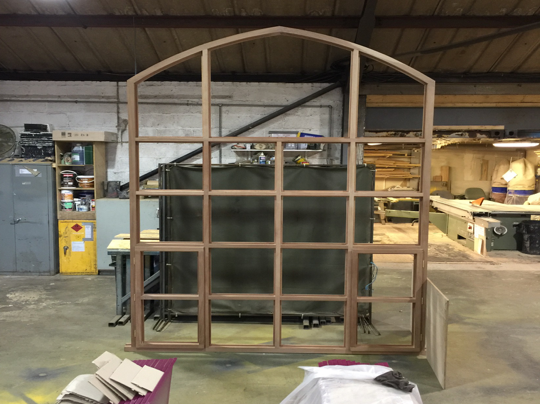 The glazed panels within the frame are all sealed, double glazed units. The new frame was given two coats of primer, three coats of paint, and a further top coat, all of which were spray applied prior to installation, to give a superior finish. 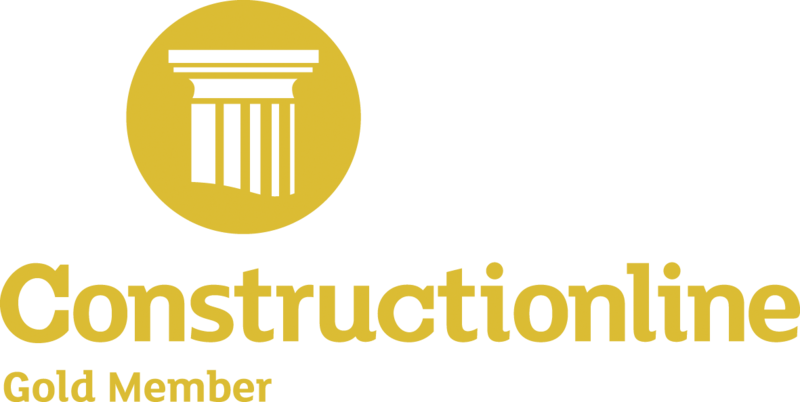 The whole project was completed from start to finish, within 6 working days.